Before you start setting up your door entry system, you will need to create an extension on your VoIP account for the door system to use. For help doing this, please see this article, and note down the seven digit extension number and password for the extension. You should also ensure that the unit is configured to use SIP. 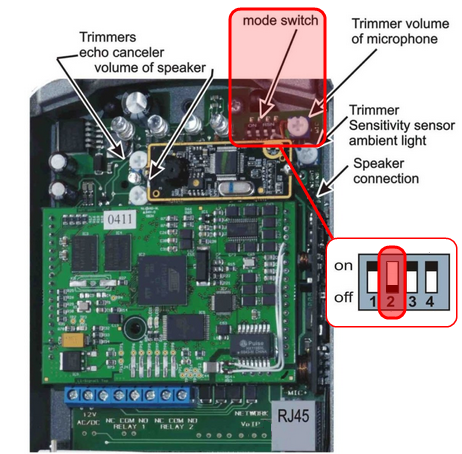 To do this, take the front cover off the unit and look for four DIP switches (these are usually in the upper right hand corner of the unit. Ensure that the second DIP switch is set to the Off position. Login to the web interface of the unit and click on SIP parameters. Ensure that Use (180 Ringing) is selected and that Enable Simmetric RTP is disabled. Click save changes to save the registration settings. You should see a Registration successful message appear on the page. Now you can configure what extension, hunt group or number is called when the door button is pressed. 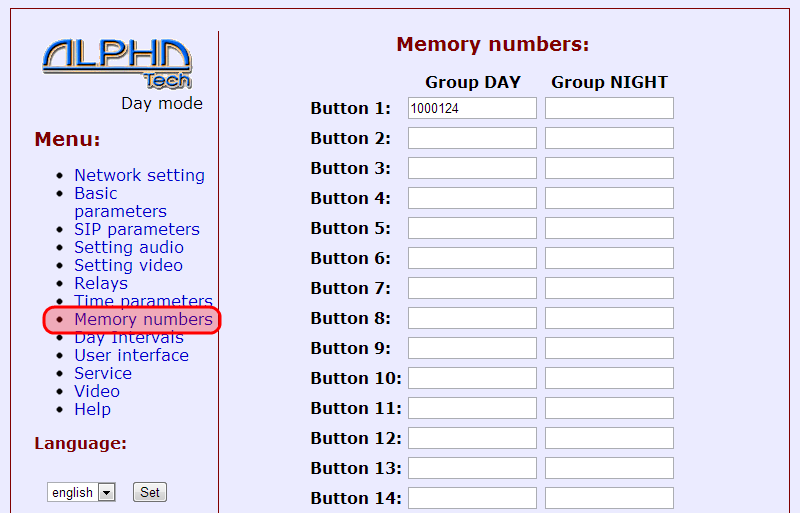 To do this, select Memory numbers from the left hand menu. You can enter two settings for each button, one during day mode and another for night mode (if using). For example, in the image below we have set the unit to call extension 1000124 when button one (top button) is pressed. It's worth ensuring that the system is set to use codecs that are compatible with our platform. 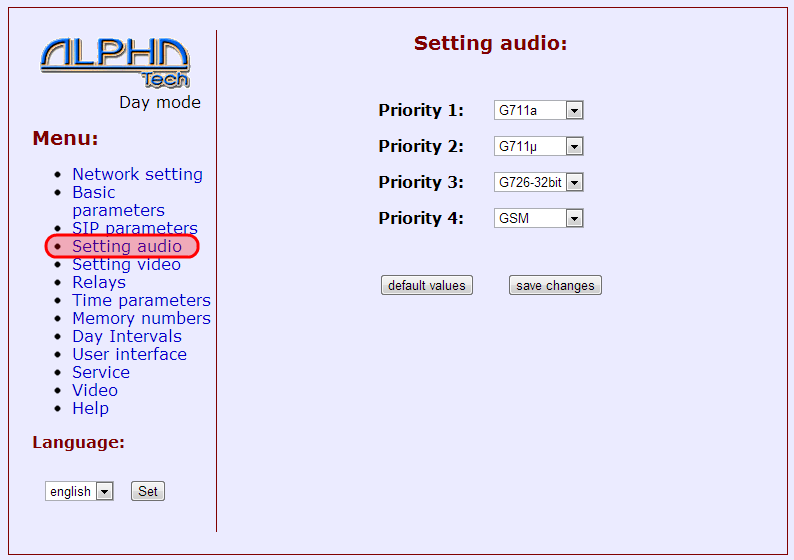 To do this, click on Setting audio and ensure that G711a is set as Priority 1 and G711u is set as Priority 2. If you need to change the code required to open the door please see this guide. Day and night mode allows different parties to be called at different times of the day. For more assistance configuring this please see this guide.